The global supply chain environment is highly competitive, dynamic and fluid. The maritime and trade industry continuously demands new innovative ways of doing business. In response, Abu Dhabi Ports has developed initiatives to foster generation of ideas – and their testing and implementation in real-time business processes. 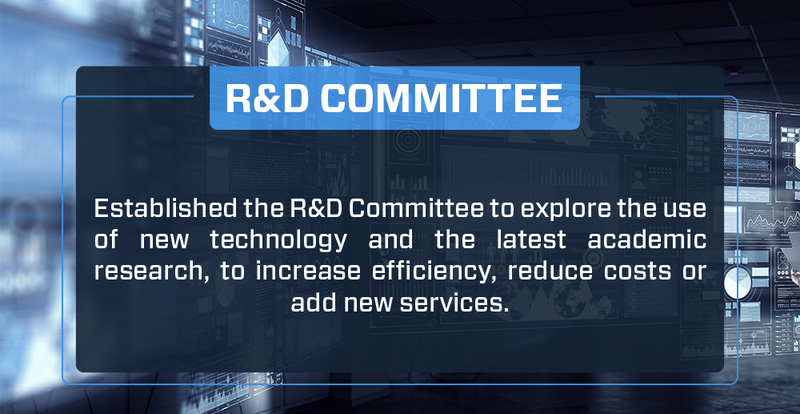 In 2017, we established our own R&D Committee to be the pivot for advancement in our maritime, trade and tourism business. The committee advises top management on significant emerging trends and future issues in maritime, supply and block chain technology, which are relevant to the Abu Dhabi Ports and its clients’ future progress. The key objectives of the Committee include facilitating a research-friendly environment at Abu Dhabi Ports. It aims to attract researchers and identify the needs and areas of scientific research that are critical to our mission and vision. The Committee sets targets to improve company processes, technologies and human capital. Abu Dhabi Ports has a significant budget for R&D. After a proposal is submitted for sponsorship or funding, the R&D Committee evaluates it based on the added value provided and the overall role it plays in the wider Abu Dhabi Economic Plan. On average, a proposal takes one to two weeks to get approvals, followed by actual funding and supervision of research activities in the implementation stage. The R&D Committee acts as a focal point for all research and development activities at Abu Dhabi Ports and supports the development of useful publications and research papers that can benefit the company. It also raises awareness about the importance of scientific research and conducts workshops to explain research publications. 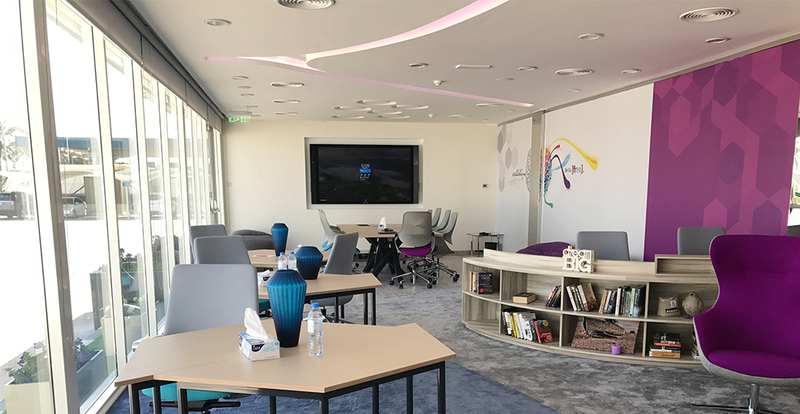 With industry experience and capabilities in research, Abu Dhabi Ports established the first Port Innovation Lab in the Middle East aiming to conceptualize and prototype next-generation digitalized products. The Innovation Lab monitors vital disruptive innovations that are shaping the industry’s future such as Artificial Intelligence, Cyber Security and Robots, in addition to promoting advanced energy and environmental sustainability. 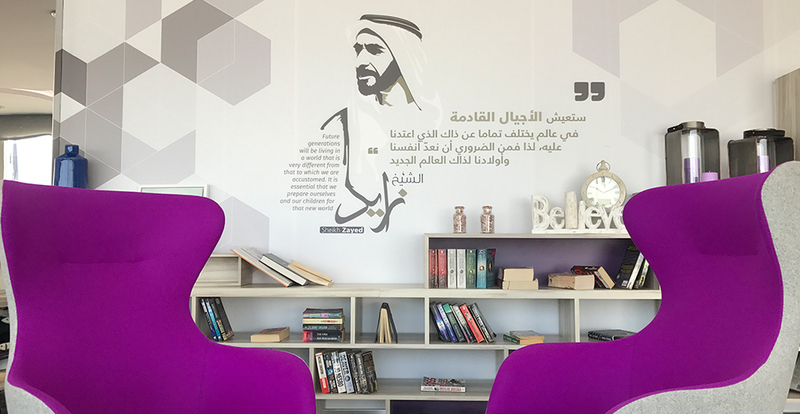 This crucible of research also helps prepare several elite UAE Nationals to become qualified scholars, analysts, and researchers in supply chain, track-and-trace and other important fields. 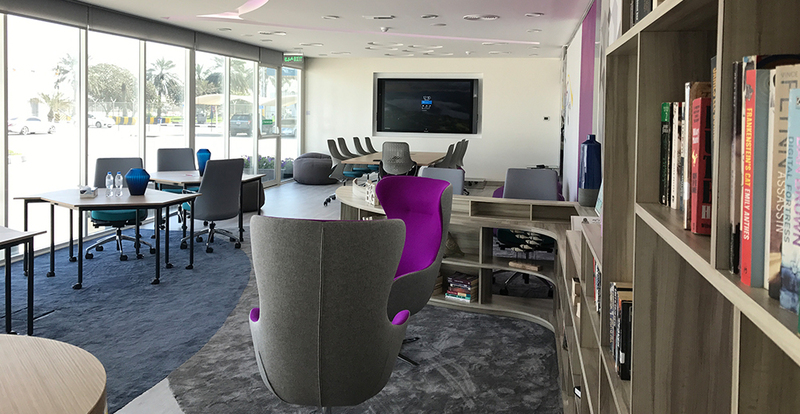 The launch of the Innovation Lab marks another significant milestone in Abu Dhabi Ports’ dedication to investing in cutting-edge technological innovations and skills. Abu Dhabi Ports has launched several joint academic initiatives and signed agreements with prominent universities such as Khalifa University in Abu Dhabi and NYU Abu Dhabi (NYUAD), with the aim to foster maritime innovation and sustainability. The agreement with NYUAD includes collaborating with international labs, third parties and universities to set up an ingenious research centre, which will grow sustainability and marine innovation in the global maritime industry. 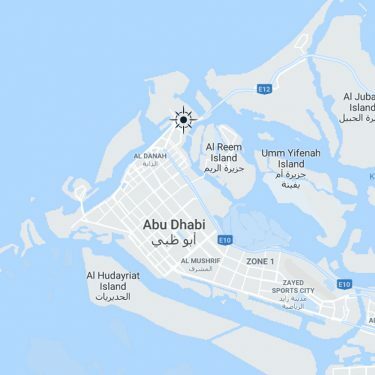 Under the aim to become a world leader in establishing green industrial zone, Abu Dhabi Ports has signed up with MASDAR City – the multi-faceted initiative by Abu Dhabi Government through Mubadala Development Company – for the introduction of a scheme for carbon dioxide capture within its industrial facilities. The agreement also calls for the development of carbon emission reduction and monetization opportunities, under the Kyoto Protocol’s Clean Development Mechanism (CDM). Our future roadmap outlines further high-impact initiatives entailing collaborative workshops, studies and exchanges of knowledge.